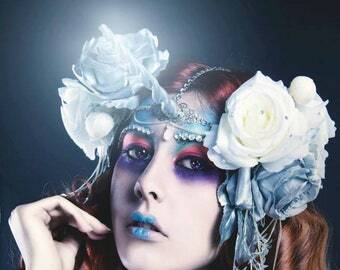 Feel like a fairy fluttering in a secret garden at midnight! 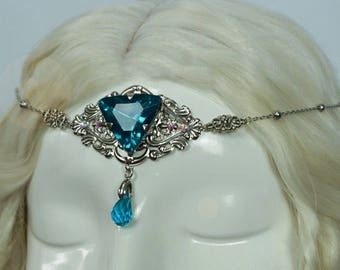 Silver tiara with high quality brass vines, Czech crystal stones and blown glass drops in blue night. 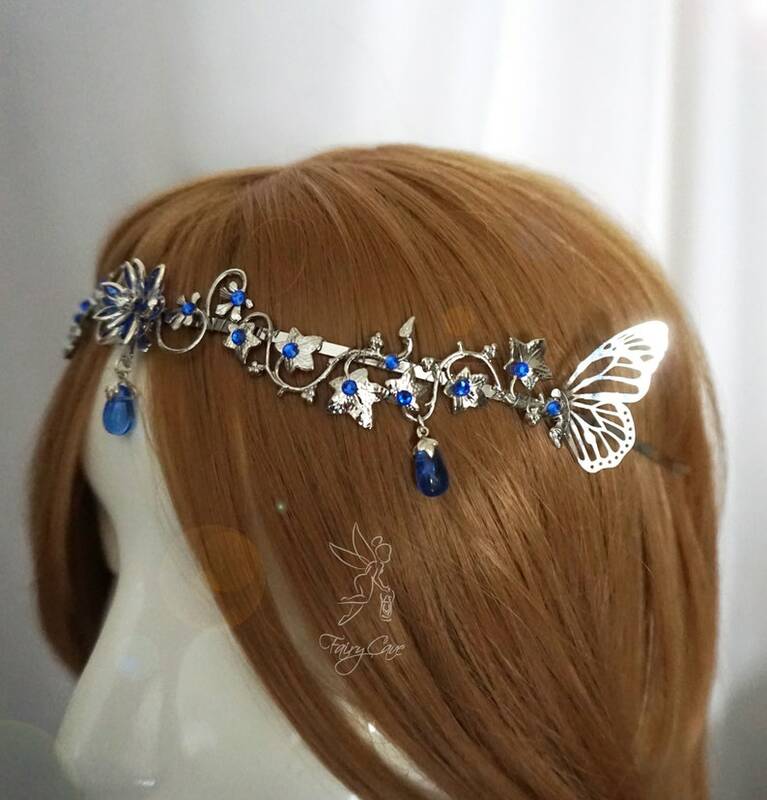 In the center, a translucent blue resin flower, and filigree butterfly wings on the sides. 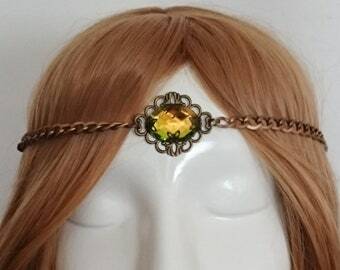 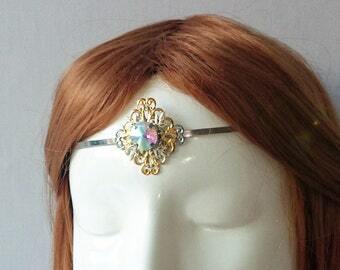 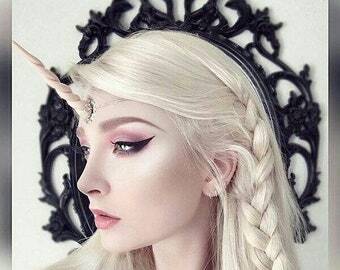 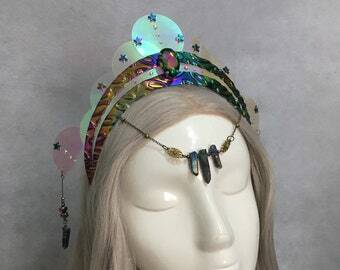 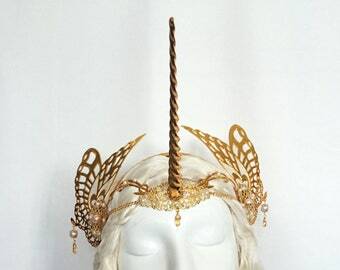 Adjustable tiara, suitable for any measurement.